Ako si citao neke dogodovstine - tamo bi te na prijavu nekolicine 'rodjenih' - ocas posla sklepetali. Edited by Kinik, 22 February 2019 - 20:45. It's funny how your tastes can change with time. For instance, when I first tried a sip of homemade corn liquor as a youth I thought it tasted like paint remover. But I tried some again recently and decided just the opposite is true. Also, when the first NortonCommando was introduced in September of 1967 at the Earl’s Court show in London, I examined the photos of the new Fastback and immediately decided it was not for me. Too swoopy and radical, not traditionally British enough. “Repelled” is probably too strong a word, but the look of that bike drove me firmly back into the Triumph camp, where I normally resided, at least in my dreams. I owned a secondhand Honda CB160 at the time, which was all I could afford as a college sophomore, what with squandering perfectly good bike money on textbooks. Now, half a century later, when I see a Commando Fastback at a vintage bike show, it stops me in my tracks and I find it to be quite a lovely thing, and if I were collecting Nortons I’d probably have to have one. But, at the time, that too-daring styling put me off, as it did many others. The Commando was initially a slow seller, despite its impressive superbike performance and the magical rubber engine mounts that gave it an almost unearthly smoothness (for a British vertical twin) on the highway. Illustration and modeling of the never-produced Commando Mk 4 from the sketchbook of Mick Ofield, Norton employee 1972-'80. Merger brought parts sharing with Triumph models. In any case, it took the more conventionally restyled Commando 750 and then 850 Roadsters of the early ’70s to win my heart. I spent hours gazing at those full-color Commando ads inside the front cover of every major bike magazine, charmed by the pure elemental beauty of the bike and of course the beauty of the “Norton Girl” who stood alluringly nearby, pouting at me because I didn’t yet own a Norton. The Roadsters had a spare and rangy look about them, without flab or artifice. As with early Harley Sportsters, they were like the Chesterfield or Lucky Strike of motorcycles: pure nicotine, no filter. Gears meshed in my febrile brain, and I knew beyond any doubt that I would eventually own a Commando. And in 1975 I finally bought one, brand new, by selling a dead-reliable Honda CB350 and using all the money I had in the world. It was, by far, the most expensive thing I’d ever purchased. The dream wilted somewhat on my ride home from the dealership when the bike quit running at every single stop sign and stoplight. And during my first few months of riding, about six major things went wrong with the Commando, but none of them (I was told) could be covered under warranty. The dealer pronounced every failure a clear case of “abuse.” By default, I learned to fix everything myself and became a self-taught British-bike mechanic. So you might say I owe the Commando for a free technical education—except for the parts, of course, and the cost of the Whitworth wrenches I still own. Norton Commando Mk 4 from the sketchbook of Mick Ofield. Later that year, the Commando seized and bent an exhaust valve in Montana while Barb and I were attempting a ride from Wisconsin to Seattle, and we had to ship the bike home from Missoula in a Bekins moving van, continuing the trip by bus and train. I wrote a story about the trip and got my first article published right here in Cycle World. So it seems I owe my journalism career to that Norton as well. If I’d bought a Honda, god knows what I’d be doing now. Possibly something useful to humanity. That or sleeping under a bridge. Incidentally, that valve seizure in Montana was attributed to “abuse” and naturally not covered under warranty, so I learned how to install valves, guides, and pistons. Self-taught, again. The Norton was making me brilliant. I sold the bike soon after that, chafing under the travel restrictions dictated by the bike’s apparent lack of long-distance stamina. I loved looking at the Norton in the garage, but I also wanted to go places far away and the Commando had an invisible bungee cord of doubt that kept me near home. "Friends have accused me of having a “love/hate relationship” with Nortons, but it might be more accurately described as a “love/hope relationship." But that was a long time ago, and time either heals all wounds or causes Alzheimer’s because I’ve owned four more Commandos since then and just did a full restoration on another black-and-gold 850 Roadster about two years ago. It appears I’m addicted to them. Friends have accused me of having a “love/hate relationship” with Nortons, but it might be more accurately described as a “love/hope relationship.” I know all their foibles but keep thinking that just the right upgrades to modern materials, electronics, and sealants will render them virtually as useful and reliable as any modern motorcycle. And I know people who have made that theory work for them. My friend Bill Getty, who owns a British parts business called JRC Engineering, has now put 130,000 miles on his 1974 850. The big question, of course, on the 50th anniversary of the Commando, is why has so much latter-day development time, expense, and sheer effort been lavished on a British twin that’s now half a century old? 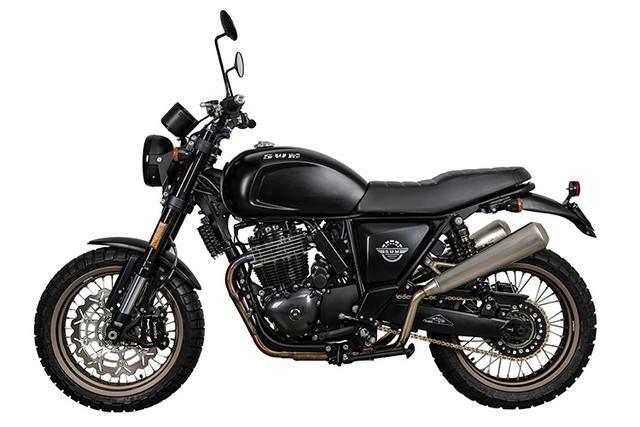 Along with the 1959–1970 Triumph Bonneville, the Commando has clearly emerged as one of the two most popular and venerated bikes of its era. It has a world-wide following and support network, not to mention a cultish aura of cool that seems to work on riders of all ages. Why so? The first Norton Commando 750 Fastback brochure, complete with the Green Globe. Later Globes were redesigned with linear gradient. The Fastback was a leap in ’67 but still had a drum brake at the front, and much was carried over from the Atlas. More of the Mk 4, with electric start and design updates. Fair enough. I had friends in that era who found the repair of worn Japanese bikes economically unfeasible and simply abandoned them. Conversely, I’d never heard of anyone throwing a Norton away. Norton Commando 750 Fastback from brochure. But of course much of the Commando’s appeal lies outside the bounds of mere reason. There’s romance to consider. The Commando is really almost an accident of history, an unlikely amalgam of old and new ideas put together as a stop-gap solution to the problem of rapidly advancing technical progress in the motorcycle market. Norton didn’t have enough money or engineering staff to design an entirely new engine, and many British bike enthusiasts (me included) didn’t want them to. We wanted something that looked more or less like a Norton Atlas but that didn’t shake as much or leak oil. So Norton tilted the Atlas engine forward and adapted it to a new frame that isolated the entire drivetrain from the rider, using shimmed rubber motor mounts that allowed the engine to jump up and down but not sideways. Thus good handling was retained and the dreaded Atlas engine vibration no longer caused the screws in your sunglasses to fall out. Use of the old Atlas 750 engine (mildly updated) allowed Norton to retain the charisma, torque, and sound of this venerable long-stroke twin while building a superbike that could go head to head in performance with the latest Japanese multis and Italian V-twins. 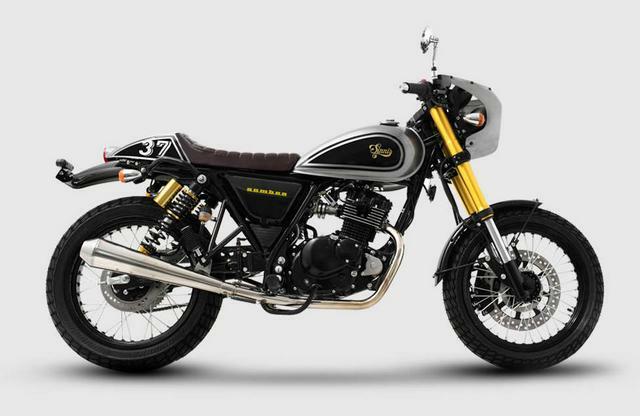 Also, they took a bike already festooned with beautiful pieces and castings and added more, with a polished aluminum primary cover, stainless-steel fenders, and lovely steel footpeg brackets. The result was a bike of bone-deep beauty that I once remarked looked like a collection of exquisite paperweights, all harmoniously blended into one motorcycle. And when the Commando was updated to an 850 in 1973, it got even more torque, much improved “Superblend” crank bearings, and a mild styling update of the seat and instruments, resulting in what is probably my favorite version, the 1974 Roadster. In black and gold, of course. In 1975, Norton added an electric starter that was incapable of turning the engine over, so they called it a “starter assist” and changed the air cleaner and mufflers to a less traditional—but US compliant—design. But touches like this didn’t help much. It seemed the inability to make an electric starter that could spin the crank of an internal combustion engine was no longer amusing to customers, and years of indifferent execution of an essentially good design finally came home to roost. By the end of that year it was all over for a once-great company with a long tradition of racing excellence and classic beauty. But the bikes are still with us, now as popular as they were when new—or more so. And they still have that heady combination of smooth locomotive power and untamed wild-animal spirit that’s not quite like anything else I’ve ridden. And the Commando is still my wife Barbara’s favorite motorcycle. It’s never been bested, in her opinion, for its combination of acceleration, sound, and sheer presence. A heartfelt endorsement, coming from a woman who helped me push a broken Commando through the streets of Missoula, 41 years ago. As a postscript here, I should mention that I no longer own that last black-and-gold 850 Roadster I restored. It turned out beautiful, but I suffered a stroke while trying to kickstart it for a first ride in the spring last year. Thanks to a clot-busting drug administered at the VA hospital, I made a complete recovery, but I soon sold that bike to my friend Bill Hall. Even though it was guilty of nothing but clogged idle jets, the bloom was off the relationship, and my doctor recommended I buy a bike with a starter button on the handlebars. When I wrote about this last year, a couple of physicians weighed in and suggested that the Norton probably did not cause the stroke. More likely, I was already having one that morning, and the Commando’s failure to start saved my life because I had the stroke at home, 6 miles from a hospital, rather than out on a distant country road while riding alone. It’s quite possible they’re right. In which case I can now thank the Norton Commando for my mechanical training, journalism career, and current good health. And the ownership of all those Whitworth wrenches. Which I used just yesterday on a 1965 Triumph engine with low oil pressure and a rod knock. Some of us never learn. And don’t really want to. Posljednji red, te dvije recenice, Kinik nece nikad razumjeti. Travels with a pair of mid-’70s superbikes, just 40 years after they seduced a generation. Or at least one member of a generation..
Hoyer, a dark-beer enthusiast, Norton owner, guitar aficionado, and history buff who likes riding on our twisty rural lanes showed up a short time later. If you can think of any buttons I failed to push, let me know. Norton Commando and BMW R90S. One fine September morning in 1975, my wife Barbara dropped me off, helmet in hand, at a motorcycle shop called Madison Suzuki/BMW/Norton. I was there for the joyous business of taking delivery on my new black and gold Norton Commando. I’d chosen the Interstate version—with the oversize 7.3-gallon tank—because Barb and I harbored illusions of extended transcontinental travel. Those were optimistic times. When I arrived, the bike was parked in front of the showroom, right next to a brand-new BMW R90S—then in its second year of production—with a lovely two-tone Silver Smoke paint scheme. This was another highly tempting bike on my personal radar at the time, but it was almost unimaginably expensive. Nearly twice as much as my new Commando, which was heavily discounted because the Norton factory was about to close its doors. In a way, these two bikes were crossing at the upward and downward arcs of their factories’ fortunes; Norton was going out of business after 73 years of building legendary motorcycles, and BMW was ascending new heights because the glamorous R90S was rescuing the company from its staid image and finding a legion of first-time buyers. Nevertheless, those two bikes made a nice snapshot, sitting there in front of the showroom. The BMW was elegant, tidy, and very Teutonic in its purposefulness. The Hans Muth-designed bodywork had a beautiful unified flow to it, and the misted paint made the bike look like some kind of Black Forest wraith beaming itself through patches of light and dark. Quite Wagnerian. Norton Commando and BMW R90S action. concept, but those pieces had somehow all landed in the right place. The polished transmission and engine cases wrapped tightly around the mechanical bits inside, and the whole bike looked spare, waspish, and handsome. I sighed at the inexpressible rightness of life, pulled out my checkbook, and headed into the shop. When I emerged with my Norton keys and temporary registration, I was accompanied by the new owner of the R90S. I recognized him right away as the famous artist-in-residence at the University of Wisconsin, Marko Spalatin, whom I’d met before at various motorcycle shops. Marko was a native of Croatia who’d escaped from Communist Eastern Europe to a life of great artistic success in the West. We both had a good laugh, but mine was probably not as hearty as his. 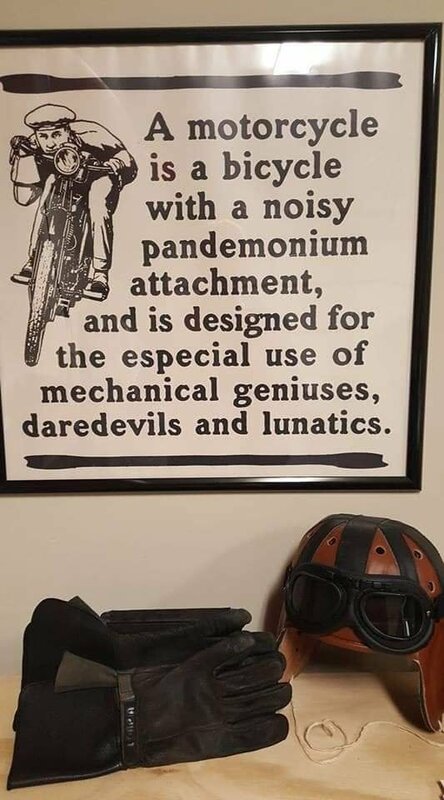 As a British car mechanic at the time, I understood his meaning perfectly. Nevertheless, I honestly wanted the Commando more than any BMW, regardless of price, reliability, or future parts availability. I was a British bike guy and I’d spent a couple of years staring at those seductive Norton ads just inside the front cover of Cycle World. I had to have one, and nothing else would do. Peter Egan playing the guitar. So Marko and I shook hands, put on our helmets and rode off happily into the future. My bike died at the first stoplight. And at all subsequent stoplights. Then on the way home it… Well, don’t get me started. Let’s just say the Commando was not a paragon of reliability. At 3,000 miles it seized a valve in Missoula, Montana, while Barb and I were attempting to ride to Seattle, and we had to send it home in a Bekins moving van. After that, we continued our trip by train and Greyhound bus. The best thing I can say about this trip is that I wrote a story about it and got my first-ever article published here in Cycle World. I’ve often wondered what life would be like if I’d come home with Marko’s BMW that day instead of the Commando. Would CW have bought a story called, “Young Couple Successfully Reaches West Coast on Reliable German Motorcycle”? Probably not. Maybe life unfolds exactly as it should, and this is the best of all possible worlds. In any case, Marko’s prediction eventually came true. I’ve owned several BMWs since 1975, and last fall I bought a Silver Smoke 1976 R90S—almost exactly like his. But I’ve never lost my affection for Nortons, either, and have owned and restored a series of Commandos. I seem to be addicted for life. My current Commando is a black and gold 1974 Roadster that was given to me a couple of years ago by a friend who wanted to see it restored rather than parted out. It had been in a shed for 25 years and needed everything. It took me one full winter—and plenty of money and new parts—to restore the bike, but I’ve been riding it now for more than a year without any trouble. It’s stock, except for electronic ignition, alloy Production-Racer-style rims, and a sleeved-down brake master. Also, I left the rear hubcap off because I like the look of the inner casting. The R90S is a clean and unmolested bike, originally from San Francisco, still with its original paint and only 44,000 miles on the odometer. I bought it late last fall from my friend Mike Mosiman in Fort Collins, Colorado. He put it up for sale when he suddenly realized, to his horror, that he had one too many airheads—and that the bike’s low bars hurt his back. Also, he’s a good guy and knew I’d been looking for a nice R90S for several years. So of course I sold two of my other old bikes to buy this long-coveted item and trailered it home from Colorado exactly one day before our first big snowstorm. This is what passes for “life simplification” in my universe. After that the BMW became a static display item that warmed my heart every time I turned on the lights in my workshop. But now it’s summer. Editor Hoyer flew in and showed up with two photographers, Drew and Carter, whose handy rental car allowed me to take the hard bags off the BMW and my ancient Eclipse tank bag off the Norton, so as not to distract from their aesthetic purity. Mark had never ridden an R90S (gasp), so he started out on that bike and I took the Norton. I climbed aboard the Commando, and it started first kick, which it usually does even though I’ve left out the seldom-used choke slides for the sake of simplicity. So you simply “tickle” the twin Amal carbs (which sounds more mirthful and less messy than it is) and kick it over with a mighty leap. Riders weighing less than 150 pounds need not apply. The 828cc parallel twin roars to life and soon settles down into a regular idle that has the engine bouncing ever so lightly up and down on its rubber Isolastic mounts. Those two big pistons rise together on the 360-degree crank and would like to fly to the moon, but the connecting rods hold them back. Usually. The front fender vibrates at an amplitude of about 2 inches, so even the hard of hearing will know when the Norton is running. Snick the lovely gearbox into first (one up and three down on the right-side foot lever) with a well-oiled click and we’re off. At about 2,000 rpm the Isolastics drop into sympathetic harmony with the engine and the Norton accelerates with almost glassy smoothness through the gears. The exhaust has a regular, mellow, but hard-hitting punch that may be one of the nicest sounds in motorcycling. Throttle response is instantaneous, and the bike accel-erates in an asphalt-spitting rush, feeling remark-ably quick and muscular even by modern standards. 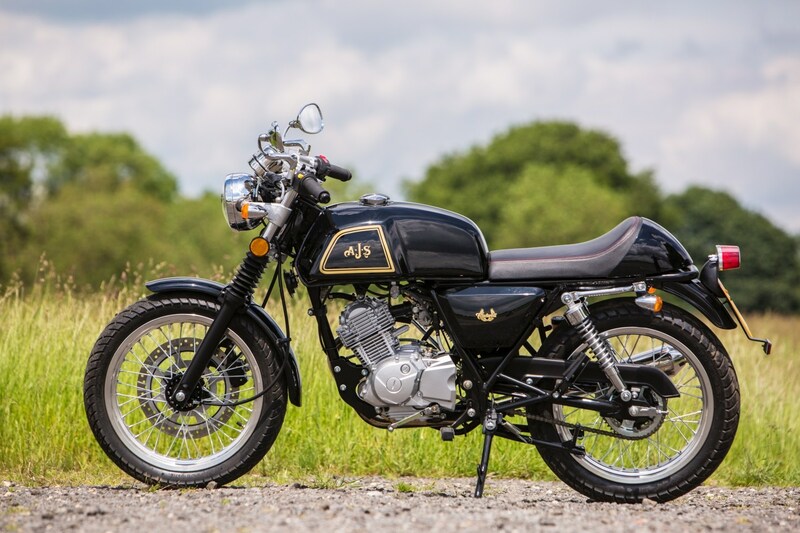 This combination of smoothness and performance has prompted many British bike enthu-siasts to name the Commando “most tourable” of British vertical twins. Meanwhile, on the R90S, Mark turns on his fuel taps, pushes down the choke lever on the left side of the engine cases, and merely hits the starter button. No gasoline is slathered. The engine fires almost imme-diately with a rocking motion, and the pumper Dell’Orto carbs let it idle with a slightly hollow and metallic exhaust note. The left-shifting gearbox (one down and four up in the modern mode) accepts first with a reluctant grunch and is then slightly notchy on all shifts that follow. It’s one of the enduring mysteries of the late 20th Century that BMW, builder of long-lived, precision engines, didn’t produce a truly slick gearbox in that era. It works okay but never endears itself to your left toe. As we accelerate out onto the highway, the R90S has no trouble staying with the Norton but lacks its immediacy. The Commando accelerates like a Rottweiler tearing across the lawn to bite your leg, but the BMW is more like a greyhound that’s been trained to build speed in linear fashion. Not as exciting, but possibly more rational. A number of subsequent top-gear roll-on contests over the next three days will reveal that the more explosive Norton can always pull away by a couple of bike lengths, at any speed—until we approach 100 mph, and then the BMW starts to move inexorably ahead. We didn’t proceed much over 100 mph because, (a) gosh, that would be illegal; (b) we have a lot of nervous deer around here; and © the Norton has two pistons that would like to fly to the moon. Suffice it to say that these two bikes are so close in performance as to be an almost perfect match on a backcountry ride. We stopped for lunch in the small Swiss village of New Glarus, home to the venerated New Glarus Brewery and Puempel’s Olde Tavern, where Braunschweiger and Limburger sandwiches terrorize the olfactory glands of the weak and timid. The green hills of Wisconsin support some 60 craft cheese factories, and a large number are found around New Glarus. And the same steep hills that tip over your tractor—and therefore encourage the grazing of dairy cows—also give you really good motorcycle roads. The landscape looks like the Swiss border in The Great Escape, only the local Germans are friendlier and there’s no razor-wire fence to jump over. Brakes? We both agreed that the BMW’s brake pads were made of some hardwood but couldn’t decide between mahogany and oak. The Norton lever has a more sensitive and progressive feel, probably because I installed a sleeved-down master cylinder to encourage this trait. Both bikes stop pretty well when they really have to. We sped along on County Highways H and F, down into the old lead mining district of southwestern Wisconsin, where towns have names such as Lead Mine, Mineral Point, and New Diggings. The ready availability of lead in the early 19th century pulled in thousands of miners from Cornwall and other exotic places, such as Missouri, creating much friction with the local Indians. Tons of lead was mined out of these hills, some of which is still said to be embedded in the forests around Gettysburg and Shiloh. beautiful old river port of Galena—named for a variety of lead ore and now a mecca for antique hunters. Here we checked in at the historic DeSoto House Hotel, built in 1855. They had a nice covered parking garage, where we checked over the bikes. The sharp-eyed Hoyer noticed that the pinch-bolt had jittered out of the Norton’s front axle. Not critical, as long as the axle nut was in place, but we’d have to find a hardware store in the morning. We had dinner at the hotel then went down Main Street to look for the Galena Brewing Company so we could try a pint of Uly’s Dark, an oatmeal stout with a picture of General Grant on the label. But a sign on the pub said it was closed on Monday nights. In the morning we went to U.S. Grant’s home, a nice old brick structure overlooking the town. It was closed on Mondays and Tuesdays. I considered naming this “The Closed Mondays and Tuesdays Tour.” My advice to the reader is just to read Grant’s autobiography and have a beer at home. This will save me a lot of descriptive typing. After that small repair, however, the Norton minded its manners and we motored across the Mississippi bridge into Dubuque and cut north along the high riverbanks of Iowa. A long, gravel road took us down a valley to the dock of the Cassville Ferry and we crossed back to the Wisconsin side. A fuel stop revealed similar fuel mileage for the two bikes—both in the low 40s—but the BMW could safely go about twice as far on its 6.3-gallon capacity as the Norton with its svelte 3.0-gallon tank. Still, 100- to 120-mile fuel stops can sometimes be a welcome break from sitting. Speaking of which, Hoyer and I both agreed the riding position on the R90S suited us perfectly. When you assume the position, you feel like a cast human figure who’s been clicked into exactly the correct spot on a model motorcycle. The Norton is pretty good too—with the lower European bars installed—but those beautiful forged footpeg brackets are a bit far forward. You sit on the Norton and in the BMW, almost enveloped by it. Nightfall found us at yet another historic old stone hotel/B&B, the Walker House, in Mineral Point, with a restaurant and pub called Brewery Creek just across the now-missing railroad tracks. Nice hotel, friendly owners, good food, several fine beers. We’d hit paydirt. One of the hotel owners was a retired college professor, so my bedtime reading was an English translation of Andre Gide’s The Immoralist. Quite different from the usual Gideon Bible, and when we left in the morning I was philosophically confused. Thinking about it now, I’m not sure these bikes were ever direct rivals for the same territory, either on the road or in your soul. One is really a sport-touring or GT machine, and the other more a pure sportbike—never mind that big “Interstate” gas tank on our old Commando, which was mostly a matter of wishful thinking. So maybe the Commando and R90S don’t so much rival as complement one another. A friend with a Norton shop told me some years ago that if his customers owned a non-British bike, it was most likely to be a BMW. Makes perfect sense to me and sounds like the best of all possible worlds. Mili bogo, pa to kao da sam otvorio neki glossy magazine for ladies sa pink-savetima za 'profi' sminku! Samo jos jedan od bezbroj ispraznih magazina za macho-pishetala. Ja razumem da neko opise prirodu, mesta pored kojih se vozikao (pa i to uz povecu rezervu), no smarajuci opisi kako je brisao ulje koje curi / zatezao lanac / kupovao neku skalameriju u gvozdjari? WTF! Samo poprilicno tuzan fetisizam likova koji kao da se neprestano oprastaju od mladosti. A i to se nesto oteglo. Jednostavno - patetika na nivou fuzbaljersko-navijacke, kad se neko usled viska osecanja zagrcne oko voljenog kluba. Moz misliti - dileme: 'british crno-zlatno', ili 'bawarsko maglicasto-sivo'! Juce sam prvi put uzivo vidio kako se na raskrsnici motor zakucava u kombi. I sam sam bio na motoru iza njega. Stao, pomogao mu i sklonio ga u stranu. Nazvao ambulantu i ostavio moje informacije. Motorista je djelovao da mu nije nista, ali to je zato sto je bio u soku i pun adrenalina. Od juce mi ta scena zakucavanja ne izlazi iz glave i nije mi svejedno. Nadam se da je kolega OK. A ti - samo oprezno. Moram priznati, dok je vozio ispred mene, da sam primjetio da je malo zelen. Akcije u gradskoj voznji koje ja nebi radio. Tako da je i za sudar velikim djelom sam bio kriv. Znas da imam 154KS pod guzovima i da mogu da se ponesem sa bilo kojim pozerom na R masini, ali to me vise ne vuce. Jedino na semaforu ne dopustam japijima u skupim autima da budu brzi. Frustraciju ce ipak morati da sacuvaju za kad dodju kuci na veceru. Ma zapali cigaru i proslavi sto ovaj put nije tebe vrag nagazio. Motor je toliko ranjiv, pored svih bolida, koji voze, da ne smem ni da pomislim da sednem i vozim. Moj stariji kukako da kupimo nesto, ja mu reko da mi je bolje da mu kupim pistolj, nego motor. Pistoljem je manja verovatnoca da ostane ziv. Ybg, tako sam ja batalio i prodao. Nije moglo da izadje iz glave. Vozio sam josh par meseci tu sezonu, ali ...… svaki auto koji mi dolazi u susret "skrece ulevo" ……. Samo shto ovaj nesrecnik nije imao nikakve shanse, niti je znao da je otishao. Imao je ipak taj delic sekunde da mu prodje kroz glavu "e jebiga, to je to". Pola je ostao u autu, noge virile napolju, bio SUV, visok. Isekla ga klinka koja je dobila dozvolu 2 nedelje pre toga. Videla parking levo i smotala ….. a njemu se otvorio semafor i malo ga naprzio, Gixxer 1100. Mislim, znam da je glup osecaj i razmishljanje, ali …… rekao sam sebi samo "mnogo si ti mator za ove stvari" i prelomio. U principu okay sam …… nije nishta strashno kako sam zamishljao da ce biti. Poneki put nocu kad je pasja vrucina fali mi …. to mi je bilo omiljeno vreme. Edited by Denis Jasharevic, 23 March 2019 - 04:22. Moj omiljeni stil motocikla je cafe-racer. Nisam jedini, izraz je dospio i na Wiki: https://en.wikipedia...wiki/Café_racer . Sad, jbg, ja sam stari purist i za nasu kategoriju pravi cafe-racer je iskljucivo onaj koji napravis sam, tj. privatna individualna modifikacija postojeceg modela. Cim vise dijelova napravljenih od nule, u kucnoj radinosti, tim vrijedniji rezultat. Naravno, postoji puno komercijalnih imitacija iz masovne proizvodnje, ali "to nije to". No, jasno mi je da sam relikt nestale ere (makar, ima nas jos zivih!) i da danasnji klinci sve kupuju gotovo. Vise nitko nista ne radi sam, "kreativnost" je u nalazenju proizvodjaca i kombinaciji kupljenih dijelova. Danasnje masovno proizvedene cafe-racere radi Royal Enfield. Zato mi je drago da sam nasao neke moderne male proizvodjace (koriste kineske ili indonezijske masine kopje su kopije starijih japanskih) koji jos njegiuju cafe-racer stil. Ili barem "standard' iz kojega se moze napraviti CR.